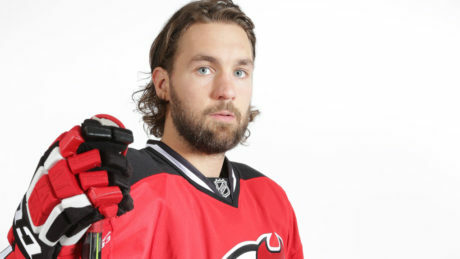 Luke Gazdic has cleared waivers and has been assigned to the Albany Devils. 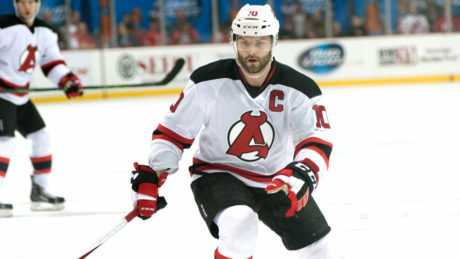 The New Jersey Devils made the announcement Monday afternoon. 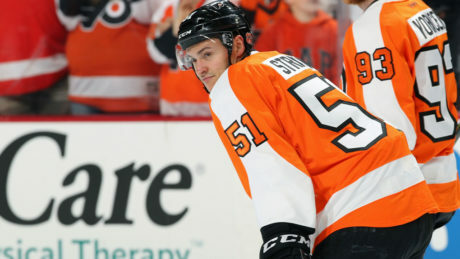 In a move that will immediately impact the Albany Devils, the New Jersey Devils have acquired Petr Straka from the Philadelphia Flyers for a conditional seventh round selection in either the 2017 or 2018 NHL Draft. 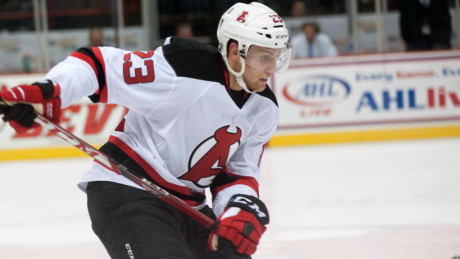 Vojtech Mozik rejoins the A-Devils, while Alex Wall was released from his PTO. 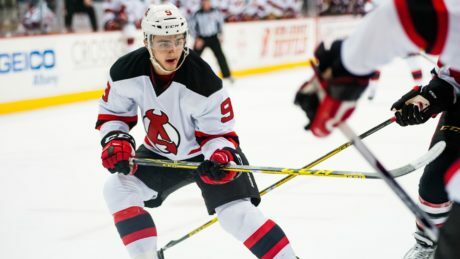 The Albany Devils have added forward Brandon Baddock and defenseman Alex Wall to their roster ahead of the team’s trip to face the Hershey Bears Saturday at Giant Center. 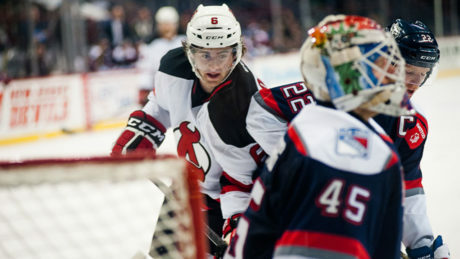 The Albany Devils have signed forward Brian Gibbons to a one-year American Hockey League contract. 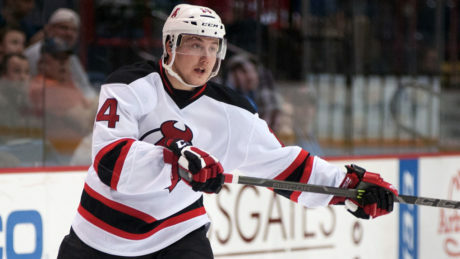 he New Jersey Devils have signed restricted free agent left wing Reid Boucher to a one-year, two-way contract worth $715,000 at the NHL level. 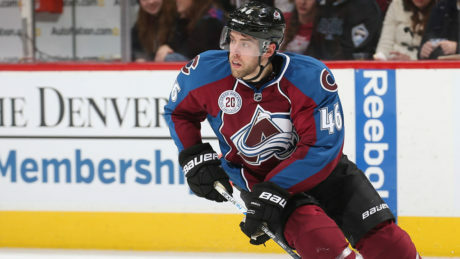 The New Jersey Devils have signed free agent defenseman Brandon Gormley to a one-year, two-way contract worth $650,000 at the NHL level. 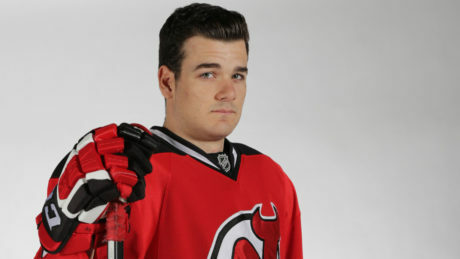 The New Jersey Devils today re-signed restricted free agent defenseman Reece Scarlett to a one-year, two-way contract worth $600,000 at the NHL level. 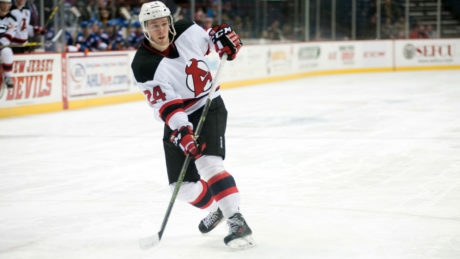 The Albany Devils have signed forward Rod Pelley to a one-year AHL contract.